There is now a separate Atos complaints procedure that was not apparent in Dec 2009 when I had my first WCA. It is slow and has trouble answering direct questions with direct answers, but is polite. It has the illusion of a tiered escalation process, but is not effectively operated within Atos or effectively managed by DWP – in fact DWP managers have no interest whatsoever in how it affects claimants. Even the CEO of JC Plus cannot be bothered to investigate complaints thoroughly and just goes through the motions. Atos complaints staff do not understand the principles of process design so cannot see where theirs are flawed. They do not have the ability to approach issues using a logical step by step methodology. Much correspondence is generated and the process is impaired simply because they do not address the specific issues/questions raised fully. If you are lucky, the success rate is little more than 50% on each cycle, so you never reach zero. DWP is quite happy to act on a report (ESA85) that has been challenged by a claimant – the presumption obviously being therefore that the complaint is ill-founded. This is not compatible with the support they are supposed to provide. Individual HCPs will vary in quality of course. Far more worrying is that the Atos QA Manager is unable to see the problems which have therefore become endemic. The fact that the Independent Tier is shrouded in secrecy should be an embarrassment, for all concerned. The belief that secrecy guarantees impartiality is of course fundamentally wrong – in a democratic society the exact opposite is true and of course the secrecy is one-sided. Atos runs the IT selection process makes the final appointment and pays their bills so the suggestion of independence is absurd. The entire legal system in the UK and particularly the Tribunals Service run openly, so why not the IT too? Even its findings are published via Atos. It is unclear what powers of enforcement it has or if it can simply make recommendations which Atos can regard as optional. DWP managers have no understanding or interest in any of this, so Atos canm do pretty much what it likes and shelter behind its contract with DWP. The IT can have no credibility if it is not subject to public scrutiny. You really MUST come up with a definition of what “work” means, or at least its base-line characteristics. You cannot possibly declare someone fit for something without saying what that something is. From the WCA results, there is no reason why the HCP cannot describe in generic terms the type of work he/she expects a claimant to be able to perform when passing them fit. You should also be open about the prospects of claimants returning to their normal line of work as opposed to something that could be radically different. I fail to see why over £100m p.a. should be spent on an outsourced service (Atos), when we have a perfectly good NHS. WCAs would be better performed at GP surgeries, although not necessarily by GPs themselves. Fears over compromising GP/patient trust are misconceived – there is no reason why this should be the case. If GPs cannot be trusted to perform this task effectively, how can they be trusted to manage £m of NHS budgets along the lines the Government is proposing? Patient records are on-hand, so what could be more convenient. If my GP regards me as fit for work, I would trust his judgement to a far greater extent than a total stranger working for Atos, who is less well qualified, whose motivation is doubtful and objectives questionable..
40% of Tribunal Service appeal cases are found in favour of claimants. In any other sector a discrimination process (the WCA) that generates this failure rate would be written off as useless. The entire process is adversarial, inevitably generating conflict and the main protagonists are not held accountable for their actions. There is no attempt at any stage to obtain a level of agreement and all of the key stages are undertaken remotely from the claimant by faceless civil servants. Why shouldn’t a HCP and DWP Decision Maker have to explain their conclusions to a claimant face to face? The cost of the workload on the Tribunals Service is huge, with waiting times consistently over 6 months. Add to this the cost of paying ESA unnecessarily to 60% of referrals to the TS to get a better picture of the real cost of this inefficiency. The Government has shot itself in the foot – because the WCA is flaky there has to be an easy-to-use appeals mechanism and what choice is there other than to continue payments until the appeal is heard. Get a reliable discriminator (WCA) and the rest of this just falls away. You need to better establish ownership of the Atos relationship within DWP – currently nobody wants to know. Ironically Atos has a much clearer view of the contractual relationship, which it can shelter behind when it chooses (we are only doing what DWP tell us to do). DWP just abdicates (take that up with Atos, it’s nothing to do with me). You need to give more thought to the self-employed in relation to the practicality of them partially returning to their profession – who would take on a decorator who could only paint up to the dado rail. I do know that descriptor definitions have been changed so as to make it tougher to reach 15 points. There has been no medical justification for doing this, just the political one – to reduce the numbers on ESA by fair means or foul. Pause now and take stock using the correct measures – data surrounding appeals is the most revealing. Properly constructed, there is no need for anything OTHER than the face-to-face assessment. The role of a “Decision Maker” is spurious and has been created and progressively embellished to give it the illusion of substance and due to government department pointless demarcation. GPs are already charged with issuing “fit notes” and are close to being given control of £M of NHS budgets. Responsibility for WCAs sits comfortably within this expanded remit. Following a WCA in Feb 2011, my “Decision Maker” simply converted the ESA85 descriptors to points without any further consideration. Leaving me with under 15 points, I appealed and she admitted what she had done, using it to blame my problem on Atos and referred me to the Atos complaints procedure – all nothing to do with DWP! · The HCP has admitted wrongly recorded my diagnosis on the ESA85 in the interests of “simplicity” – he says he was concerned that the DM would not understand, obviously unaware that the DM might then enter the error into Google! · When my condition was first diagnosed, I found the information on the internet confusing and in places contradictory. I resorted to my consultant surgeon and GP for clarification, neither of whom is available to a DM using Google. Clearly some websites are unreliable – just take the misconception most people have over the authenticity of Wikipedia. · There are no guidelines as to which websites might be used or how dilemmas should be resolved. It all down to DM “experience”, but unclear as to how this is obtained – by inference trial and error??? Even if the current format of Q&A/examination was performed perfectly, for many. it would not accurately reflect and represent a typical day at work. It is best for everyone that people return to their normal line of work – no training costs, better productivity, familiar surroundings etc., so why not establish why this is not possible first? Currently everything is based around a generic concept of work that cannot be defined so people don’t know what they might be moving into, which only engenders resistance = appeals!!! Yes. The LIMA system is a severe constraint through the drop-down option style it employs. It does not allow the nuances of a condition (which are often the key elements to the patient) to be easy recorded. 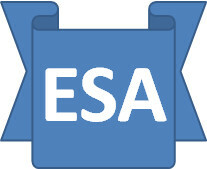 Although free-form input is possible, HCPs are discouraged from using it so that the background programming can ultimately recommend descriptors for the ESA85. Again override is possible, but for a HCP on a tight timetable with an undeclared but very real expectation to fulfil, the result is pretty obvious. This is very much my own experience, where there are large differences between ESA50 vs. ESA85 and ESA85 detail vs. ESA85 conclusions that the HCP cannot and has not reconciled and nor has the Atos QA manager. They have accepted the HCP’s “professional opinion” even though it cannot be substantiated by evidence or observation. There are secret formulae applied. For example, if a claimant says they visit a supermarket, it is assumed they can walk 800m. For me, although this was radically different from my ESA50, the HCP made no attempt to reconcile the gap by pursuing the discussion in more detail, nor did DWP who are now supposed to be supporting me. It appears they have their own distinction between a convenience store and a supermarket which they cannot however articulate. I use a Costcutter store nearby, which describes itself as my “local supermarket”. I can park literally outside of the entrance, only ever purchase a few items and would be surprised if a walk more than 50 meters in total. Also, by its very nature, shopping involves frequent stopping which for me is what makes the expedition viable. Both Atos and DWP have not only ignored this important detail, but have overtly disregarded it when I pointed it out to them. There has been much talk of incentives paid to HCPs or Atos to achieve certain “failure rates”, which may or may not be true. However, what cannot be denied is the Government’s declared intention, which in itself will produce bias – e.g. if in doubt, fail rather than pass and do not give benefit of doubt to the claimant etc. In reaching his conclusion over the distance I could walk within the scope of descriptor 1, the HCP did not include the issue of “. . . . . without repeatedly stopping or severe discomfort . . . .” as required. The Atos complaints process has failed to recognise this fact. Over the distance in isolation, his conclusion is unsupported by any information available at the time. It appears he made a series of assumptions about my journey to his office and my shopping routines, both of which I have since established were invalid. If they were critical to my assessment and entitlement, he should have made sure he collected the information he required. It is clear from subsequent correspondence that both DMs and HCPs try to trick claimants and catch them out. The underlying assumptions over the authenticity of a claim are self-evident – it is rather like being guilty until proven innocent. For descriptor 2, the HCP substantially understated my problems. His conclusion was at odds with all of the other information available, but he made no attempt to reconcile or explain. There was simply no foundation for it. For descriptor 3, he completely ignored the evidence in favour of “None of the above apply”. As part of my complaint investigation, he claimed that he had recognised my problems, but not why he then ignored them. In all 3 areas, my answers were perfectly in line with the ESA50, but he chose to apply an alternative interpretation that better suited his objectives. The intention is obvious. Having attributed the lowest possible descriptor for activity 1 & 2, I had accumulated 12 points, so an accurate assessment for activity 3 would have taken me over 15 points. He had no choice therefore other than to ensure I had no points for activity 3. I have had 2 WCAs and in neither case has the HCP looked particularly interested – just a job to do, 40 odd minutes to do it in, so little time for clarification here and there etc. A quite intimate process involving quite personal aspects of my life with my financial situation among other things in the balance, but conducted in an insensitive (albeit courteous) manner. The ESA85 lists around 60 detailed motor functions that the HCP is supposed to check. In neither of my 2 WCAs was this the case – the physical examination was cursory and took only a few minutes. I have to say that with only 40/45 mins available, there was no time after Q&A to do any more – the boxes however were all nicely ticked!!! b) The statistical outcomes of most illnesses and surgical procedures are well documented, which provides an HCP with “bounds” within which to consider his tests and observations. It is important therefore than an HCP fully understands medical diagnoses and prognoses. I do not believe my HCPs looked at my ESA50 other than to glance though it as we started. My most recent WCA was performed by a nurse rather than doctor. I do not believe they were familiar with my clinical diagnosis nor the surgical remedy as both were wrongly recorded despite the evidence I produced at the WCA (not to mention the scar!). I have pointed this out in my complaint to Atos and although the HCP has acknowledged (and attempted to justify) the errors (see above), Atos do not see this as an issue. There were also a number of simple “observational” errors which I could not prove one way or the other. The consistent theme however was the poorly disguised intention to declare me fit for work regardless. The HCP (and DWP) say that they have considered the variability I described in my condition, but cannot show me where or how it features in their assessments. Likewise the levels of pain I described. The LIMA system imposes inappropriate constraints on the WCA and I doubt anyone fully understands the background programming that drives out conclusions. It is equally wrong for HCPs to be discouraged from using the free-form text boxes as they do not readily fit the model. I was not aware of how it works at my last WCA, but now I have seen extracts from the user manual, I can explain most of the questions I though odd or out of place at the time. It also explains some of the error, which clearly did not match one drop-down menu or another. The whole atmosphere at the WCA was one of “ticking boxes”. I suspect this is at least part explains why my clinical diagnosis and surgery were wrongly recorded and my descriptors were consistently understated. Admittedly there is a lot of information on the DWP website and on the internet generally, but it can be hard to find or hit and miss. If the WCA is conducted in a genuinely unbiased manner, in the right atmosphere & surroundings and in a way in which claimants can have confidence and trust, it could be the sole determinant of one’s ability to work and offer a much better (although not perfect) discriminator. The benefits of “right first time” are immense in relation to welfare, cost and confidence. Place it in the hands of suitably trained staff at GP surgeries. The whole process is about physical and mental capabilities, so a medically trained professional should be at the heart of the process and determine effectively determine the ESA payment decision – having DMs within DWP is unnecessary and is simply a manifestation of departmental demarcation. Despite all of the theory about internet research, they add nothing to the process. Also, the fact that is that we cannot have an outsourced, privately run supplier (Atos) directly determining benefits payments. Bring the WCA back “in-house” within the remit of the NHS with close liaison with DWP and there is no longer a need for a DM as such. Why not consider having a HCP and DWP person both at the WCA so the claimant walks away knowing exactly what will happen next and why. This creates a framework of cooperation and agreement, which can only bring benefits from every angle.